So a few weeks ago I created a new mini quilt for the Lori Holt Mini Quilt Swap as the original mini has been lost by the post office. Needless to say I was not a happy camper. On the bright side I actually like this one better than my original mini. 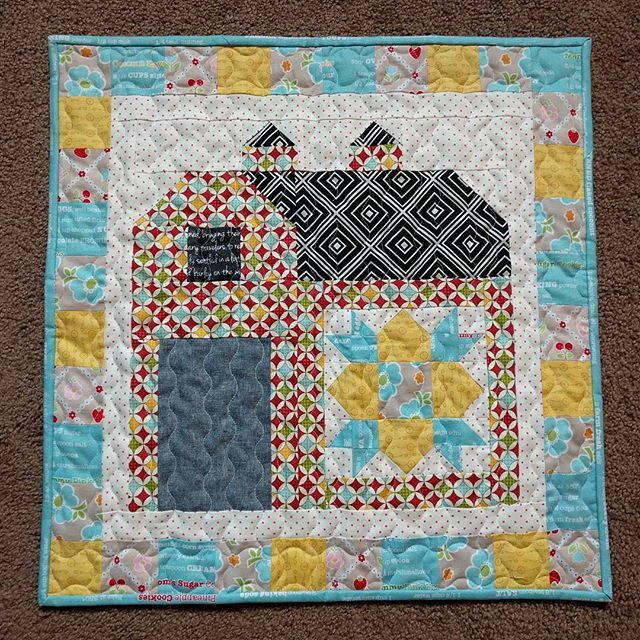 For this mini I used the Welcome Block from Farm Girl Vintage and set it in the Quilty Barn Block. Added a scrappy border to make it a little bigger. I have been really enjoying scrappy borders. Plus this was a great way to use up some of the leftover scraps from making the first mini and this mini. If all goes well (and so far so good as it's made it's way to Australia) this should be arriving at my partner's doorstep in the next day or two. For those curious here is my original mini quilt I made for my partner for this swap. 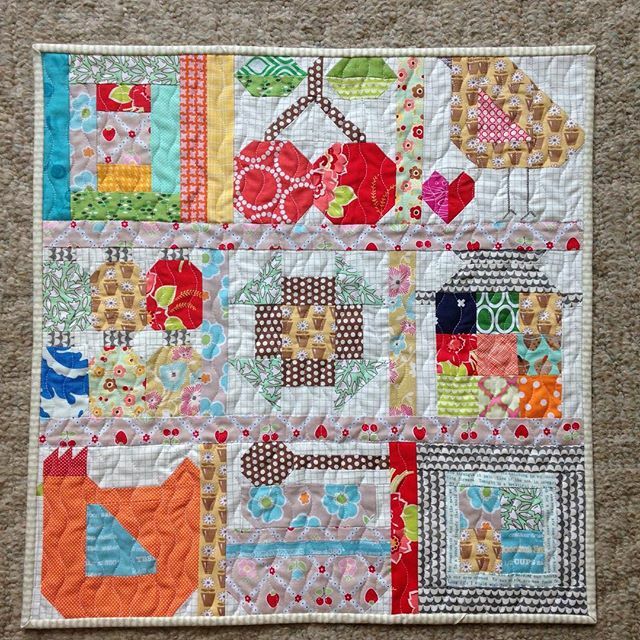 I made a mini sampler from blocks in Farm Girl Vintage. Sad to hear the PO lost your package! I haven't had that happen with the PO but luggage from the air lines. I think the quilt block is adorable. Maybe in a few months it will show up somewhere and get delivered or returned.